Living in the UK and being a foodie means that conversation always lands on, What is traditional Canadian food? The typical jokey answer is, "Anything smothered in maple syrup!" But the real answer is complicated. Do you mean indigenous traditional, or do you mean food that has become traditional due to socio-economic-political influences or due to our extremely multi-cultural traditions? In my home the answer leaned more towards French-Canadian tradition with the likes of tourtiere, and Pate Chinois (which has nothing to do with Chinese food at all! It's a version of shepherds pie that was created by Chinese railway workers in Quebec). Heat oil and butter/margarine in a large skillet or frying pan. Add onions and cook until clear, stirring frequently. Add the ground beef, cook until browned and no longer pink. Put into a 1.5 or 2 qt casserole dish. Pour the creamed corn over top of the beef. Drop the mash potatoes on top and cover bottom layer completely, sealing to the edge of the casserole dish. The potato topping should be about 1.5 to 2 inches thick. Bake for about 35 minutes, until potatoes are turning golden and the corn is heated. But I would also say that traditional food in my house was heavily influenced by the European faction of our community. For instance I remember growing up eating Cabbage Rolls (a European recipe of cabbage leaves stuffed with meat and spices and topped with tomato sauce), a recipe which I hope to try soon since I've only ever eaten them homemade by my parents friend. I wanted to make something indigenously traditional today, something I know I tried when I was little, but had completely forgotten about until I was flipping through a First Nations recipe book in the store. Bannock. There are many versions of bannock, I think it's been adapted over time, and although also known by the name of Native Fry Bread, it doesn't have to be fried, it can also be baked. It can be savoury (often with poppy seeds or onion seeds) or sweet (made into a type of cinnamon roll). 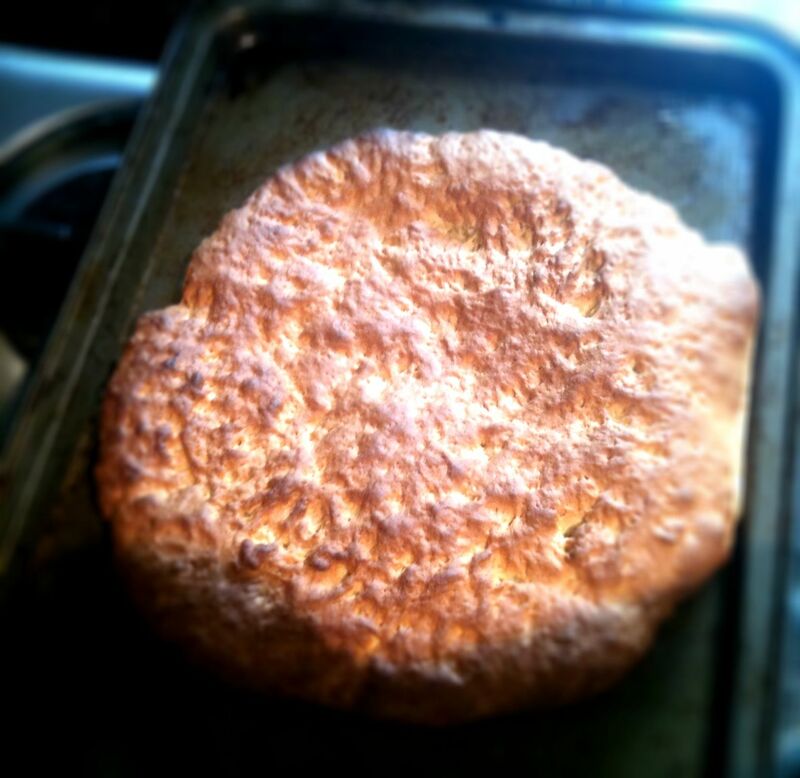 I believe some people think that bannock also has some origins in the UK, but its more like a scone. Regardless, it's been around in Canada for a long time. 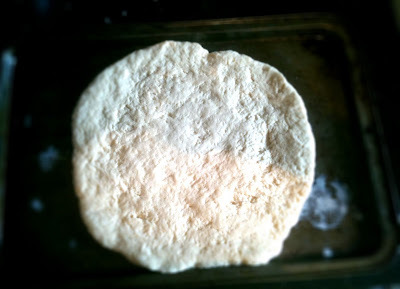 Yeast isn't involved, and so I suppose you could consider it to be a flat bread of sorts. 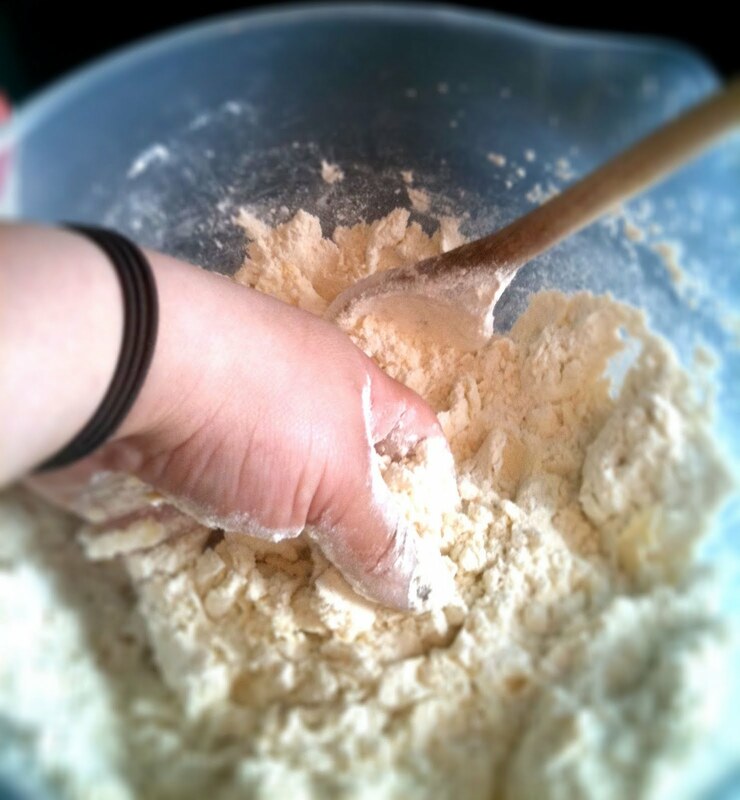 More traditionally you would use wholewheat flour, but I didn't have any on hand so I used plain flour. This version is a traditional Cree version of the recipe that I found online. 1. 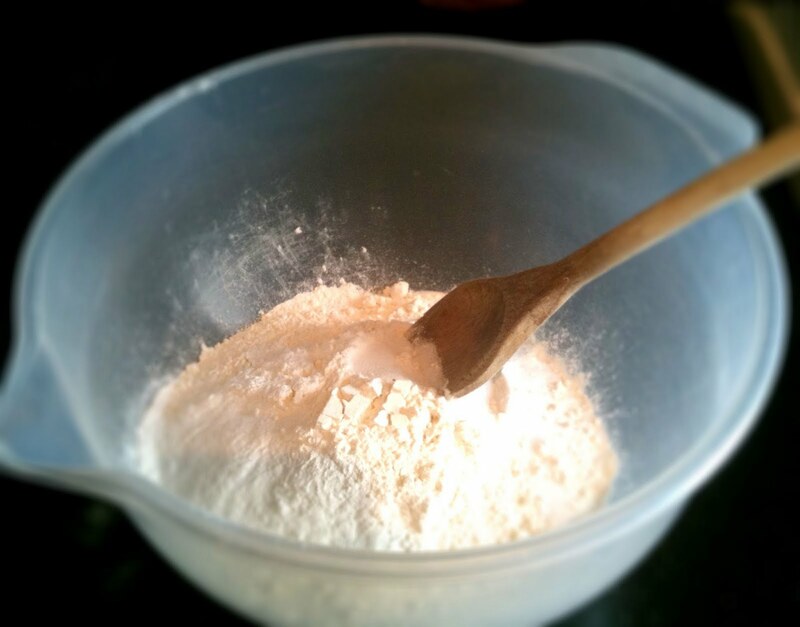 Mix flour, baking powder, sugar, and salt. 2. 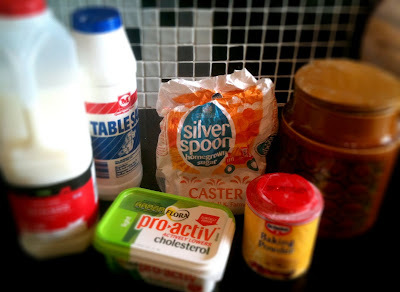 Work in the margarine using hands until you make a nice crumble. 3. Gradually mix in enough milk to make soft but not sticky. 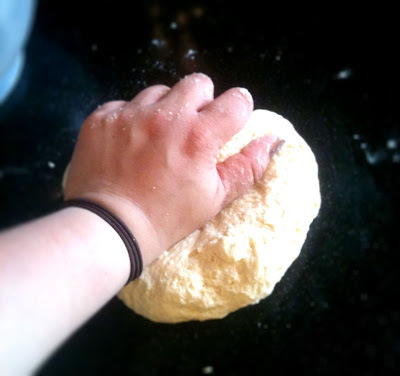 Knead. 5. Bake at 220°C/425°F for 25 minutes or until lightly browned. mmmmm it smells magnificent, but I think I'll let it cool down a bit before I try it! *edit* - I've just cut into it and taken a bite and it's nice and fluffy, with a slight crunchy outside. It's also extremely dangerous because Justin loves pretzels and it tastes somewhat like pretzels!! I've rummaged through the cupboards and found some nutella to spread on top.....mmmmmm yum!!!! 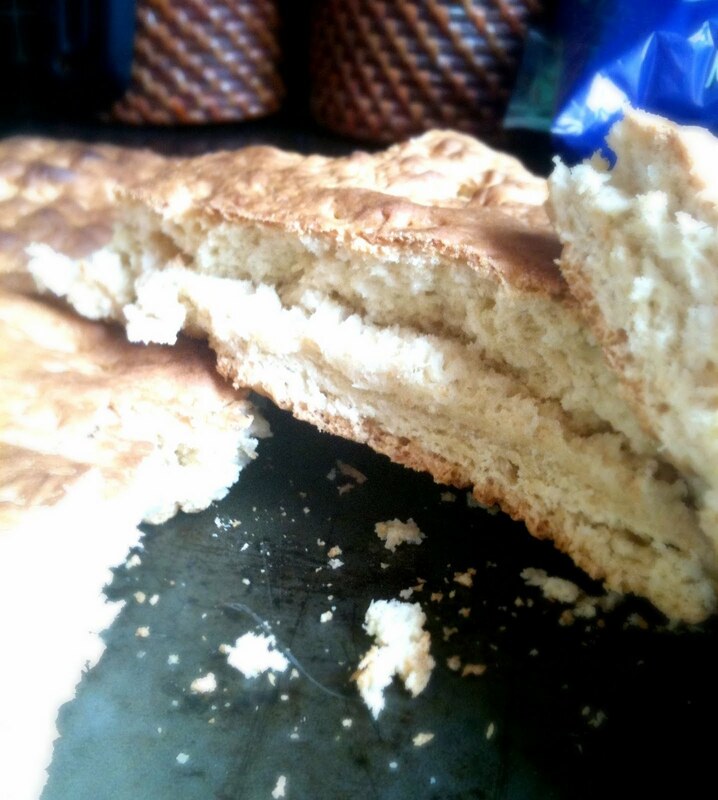 Let me know what you eat with your bannock! P.S. This was probably easiest bread recipe I've ever encountered!